Pursuant to a Judgment and Injunction of a U.S. District Court, the Court ruled against the former owners and operators of the shop, BUY CHANEL. It was determined by the Court that the former online shop had been selling replica Chanel products. 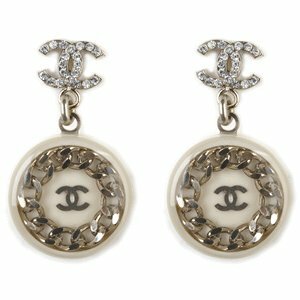 For genuine CHANEL, please visit www.CHANEL.com. Efforts to stop the selling of replica products online is a high priority at CHANEL. The internet is being continuously for shopping, wholesale, auction, warehouse outlet stores and other websites offering infringing Chanel merchandise. Whenever it is appropriate, legal actions are to be taken against replica sellers, including but not limited to lodging criminal complaints and initiating civil suits. To those of you out there who may be considering to buy a knockoff Chanel accessory, we urge you to recognize that by purchasing replica products you are not buying a Chanel item, but actually supporting criminal enterprises. It is important, therefore, that you refuse to purchase such counterfeit goods. To the replica shops, BUY CHANEL, consider the fact that bear in mind that we are watching and we are taking action.